Can I change my mind about a bail bond and send someone back to jail? Home > Bail Bonds > Can I cancel a bail bond? Can I cancel a bail bond? We talk a lot about the advantages of releasing (most) people who have been arrested and charged with a crime ahead of their court proceedings. 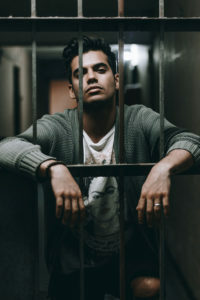 For many reasons, including the presumption of innocence until guilt is proven to the ability of someone to maintain employment and support a family while awaiting trial, which benefit the individuals involved and the wider community, the opportunity for pretrial release is unambiguously a good thing to have in place as part of our criminal justice system. We need to recognize, however, that these benefits don’t cover every situation, and our systems of arrest and detention prior to trial and possible incarceration, are sometimes necessary for the safety of the community. These decisions are difficult. Setting aside for a moment the new trends in algorithmic release systems, we have well-established procedures for qualified judges to make the call as to whether a detained individual should have the opportunity to be released following their arrest. These judges take into account both the likelihood that the individual will actually attend scheduled court dates, and more importantly, whether the individual is a danger to others know and unknown to them, should they be released. If someone is given the opportunity to post bail and be released, it is often someone that they know that will provide the funds, organize the bail bond and actually post the bail on their behalf. This family member, close friend or other acquaintance will have therefore been a participant, and an important one, in the process of getting someone released on bail. A question that is sometimes asked is whether that same person can reverse course after the fact and withdraw bail, which would have the effect of sending the arrestee back to jail. This may be considered for a few different reasons. Perhaps they discover that the arrestee is not planning on attending their court date, and is perhaps planning to flee to another part of the country to avoid possible sentencing and prison time. Perhaps they realize that their relationship is not what they thought it was, and feel threatened or in danger from the arrestee. Perhaps they need to funds they provided for an urgent or unexpected expense. In such a situation, it is NOT a option to change your mind and revoke bail. The fact is, the person posting bail is not really making the decision about whether to allow the arrestee to gain their release, they are simply providing one element of the mechanism, which is the funds required to post bail. The only real option available to anyone that finds themselves in this position is to report their concerns to police or the bondsman through which the bail bond was written. Whether or not the arrestee violates the terms of their bail agreement is still an open question at this point, but providing such information provides the best opportunity to avoid such outcomes.